Mary Dalton was born in Lake View, Conception Bay, Newfoundland. After earning her undergraduate degree at the University of Toronto, Dalton returned to Newfoundland to earn her Master's at Memorial University of Newfoundland. She undertook doctoral study at the University of Liverpool as a Canada Council Scholar. In 1984 she became a member of the faculty at Memorial. Dalton has published five volumes of poetry: The Time of Icicles (1989), Allowing the Light (1993), Merrybegot (2003), Red Ledger (2006), and Hooking: A Book of Centos (2013). She has published two chapbooks : Merrybegot (2002) and Between You and the Weather (2008). 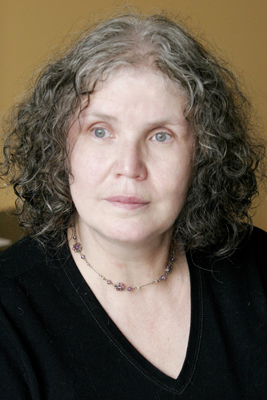 Dalton received the Newfoundland and Labrador Arts and Letters Awards for Poetry in 1997, 2002, and 2006; she was also the inaugural winner of the TickleAce Cabot Award for Poetry in 1998. Her third book of poetry, Merrybegot, won the E.J. Pratt Poetry Award and was shortlisted for numerous other awards, including the all-genre Winterset Award in 2004, the Pat Lowther Memorial Poetry Award in 2004, and the Newfoundland Heritage and History Award in 2005 and in 2007. It also exists as an audiobook. Red Ledger was shortlisted for the Atlantic Poetry Prize, the E. J. Pratt Poetry Award, the Newfoundland Heritage and History, and was named a Top Book of the Year by the Globe and Mail. In addition to her work as a poet, Dalton has served as editor and publisher of the Newfoundland literary journal TickleAce from 1980 to 1986, and as editor of the interdisciplinary journal Newfoundland Studies. She co-edited Wild on the Crest: Poems of the Sea: Newfoundland and Labrador (1995). In 2008 she was a member of the poetry faculty at the Banff Centre. She has also mentored at the Newfoundland writers' retreat Piper's Frith. She currently lives in St. John’s, Newfoundland, where she teaches English and creative writing at Memorial University. Published in Merrybegot. Véhicule Press, 2003. Critical Analysis: "And from the look of her belly": Gossip in Mary Dalton's "Merrybegot"
Dalton's early use of sound serves to slow the poem's rhythm, as the long “o” in “moon” (1) and “newing” (1) demonstrate. The alliteration of “n,”“t,” and “b” sounds in “night burnt black” (1) also force the enunciation of each syllable to be focused and slow. Similar to how the content of gossip may pique the curiosity of the listener, so too does Dalton's technique draw the reader to the content of the poem. By also employing the first-person pronoun “our” (4) to describe the apple tree, Dalton's speaker further implicates the reader in the action of the poem. This content is replete with instances of Newfoundland dialect, given the embellished imagery of the thief who is “hungry as a starved mosquito, [and] stripped [the tree] bare” (5-6), the repetition in “some rapscallion, some young pelt, some nuzzle-tripe” (2) and expressions like “with the go of a born-again preacher” (3) underscore the colloquial tone of the poem. Dalton's use of form further enhances the colloquial nature of the poem, as it becomes conversational. A brief 11 lines, the entire first half of the poem is halted by the definitive line “it bare” (6), signalling a break in the recollection of the narrative. With this definitive break, Dalton's form moves from the enjambed six lines which open the poem to the short, declarative sentences which close the poem. Echoing the reality of gossip, which can swiftly turn from speculative to declarative, Dalton's poem closes with the decisive speculation that “from the look of her belly / [there's] a good chance of a merrybegot” (10-11). With her consistent use of Newfoundland dialect, Dalton outlines the heart of an oral culture in her writing. This oral culture extends to a fascination with gossip, while also capturing its essence. Bolstered by Dalton's use of speech rhythms and idioms, then, “Merrybegot” captures a larger cultural narrative, then preserves it through language. Dalton, Mary. Merrybegot. Montréal: Signal Editions, 2003. Print. Nickel, Barbara. “There’s a Carnival for You: Interview with Mary Dalton.” Books in Canada31.4 (2002): n.p. EBSCOhost. Web, print. 27 Feb 2013. Vryenhoek, Leslie. “Mary Dalton’s Poetry: Exploration and Accolades.” Gazette: A Memorial University of Newfoundland Publication 39.13 (2007): n. p. Web. 27 Feb. 2013. Dalton, Mary. Allowing the Light: Poems. St. John's, NL: Breakwater, 1993. Print. ---. “Burn.” Ed. Anne Compton, Laurence Hutchman, Ross Leckie, and Robin McGrath.Coastlines: The Poetry of Atlantic Canada. Fredericton, NB: Goose Lane, 2002. 236. Print. ---. “Conkerbells.” Open Field: 30 Contemporary Canadian Poets. Ed. Sina Queryas. New York: Persea Books, 2005. 85. Print. ---. “dead Indians.” Their Lives and Times: Women of Newfoundland and Labrador: A Collage. Ed. Carmelita McGrath, Barbara Neis, and Marilyn Porter. St. John's, NL: Killick, 1995. Print. ---. “The Doctor.” Open Field...et al. 86. Print. ---. “Down the Bay.” Open Field...et al. 87. Print. ---. Edge: Essays, Reviews, Interviews. Windsor, ON: Palimpsest Press, 2015. Print. ---. “Flirrup.” Open Field...et al. 88. Print. ---. “Flirrup.” The Art of the Sonnet. Ed. Stephen Burt and David Mikics. Cambridge, MA: Belknap P of Harvard UP, 2010. 393. Print. ---. Hooking: A Book of Centos. Montreal: Signal Editions, 2013. Print. ---. Interview by John Barton. “Like a Star-Nosed Mole: John Barton in Conversation with Mary Dalton on Her Cento Variations.” The Malahat Review. The Malahat Review, n.d. Web. 9 Jul 2013. ---. “Mary Dalton's Very Soulful Rooms.” The Globe and Mail. Globe and Mail, 6 Jan 2012. Web. 9 July 2013. ---. “Mad Moll and Crazy Betty.” Open Field...et al. 89. Print. ---. “Maiden Vein.” Words Out There: Women Poets in Atlantic Canada. Ed. Jeanette Lynes. Fwd. Gwendolyn Davies. Lockeport, NS: Roseway, 1999. 24. Print. ---. “The Marriage.” Compton et. al. 237. Print. ---. “Mary Dalton and the Process of Poetry.” Interview by Jeanette Lynes. Words Out There...et. al. 102-110. Print. ---. Merrybegot. Montréal: Signal Editions, 2003. Print. ---. "Michael Coady, John Murphy, a Notebook." Papers of the Bibliographical Society of Canada/Cahiers de la Société Bibliographique du Canada 48.1 (2010): 153-6. ProQuest. Web. 24 Mar. 2013. ---. “My One Brother.” Open Field: 30 Contemporary Canadian Poets. Ed. Sina Queryas. New York: Persea Books, 2005. 90. Print. ---. Red Ledger. Montréal: Signal Editions, 2006. Print. ---. “She.” Open Field: 30 Contemporary Canadian Poets. Ed. Sina Queryas. New York: Persea Books, 2005. 91. Print. ---. “Signs of the Tar Baby.” Books in Canada 22.9 (1993): 51. EBSCOhost. Web. 9 Jul 2013. ---. “Sterricky.” Open Field: 30 Contemporary Canadian Poets. Ed. Sina Queryas. New York: Persea Books, 2005. 92. Print. ---. The Time of Icicles: Poems. St. John's, NL: Breakwater, 1989. Print. ---. Interview by Portia Carryer. “Think of Them as a Lottery: 2012 Far Horizons Award for Poetry Judge Mary Dalton on Poetry and Contests.” The Malahat Review. The Malahat Review, n.d. Web. 9 Jul 2013. ---. “The Water Man.” Open Field: 30 Contemporary Canadian Poets. Ed. Sina Queryas. New York: Persea Books, 2005. 93. Print. ---. "Two Poems." The Fiddlehead 276 (Summer 2018): 157-158. Print. ---. WasteGround. Tors Cove, NFLD: Running the Goats Books and Broadsides, 2017. Print. ---. “Yet.” Open Field: 30 Contemporary Canadian Poets. Ed. Sina Queryas. New York: Persea Books, 2005. 94. Print. ---, and Wesley W. Bates. Between You and the Weather: Poems. St. John's, NL: Running the Goat, 2008. Print. ---, et al. Global Poetry Anthology 2013. Montreal: Véhicule Press, 2013. Print. Boxer, Asa. “Among the Maggots.” Rev. of Merrybegot by Mary Dalton, UN by Dennis Lee, and The Difficulties of Modernism by Leonard Diepeveen. Books in Canada (April/May 2004): n.p. Print. Carey, Barbara. "Fifty Giant Black Kettles: Newfie Mary Dalton Honours Her Island's Ear- Pleasing Ways Coolly Sinister Poems May Not be Likeable but Sure are Compelling." Rev. ofMerrybegot by Mary Dalton. Toronto Star 16 Nov 2003: n.p.. ProQuest. Web. 24 Mar 2013. ---. “Trust a Newf to Know How.” Rev. of Red Ledger by Mary Dalton. Toronto Star 14 Jan 2007: n.p. Web. Chafe, Paul. "Newfoundland Poetry as 'Ethnographic Salvage': Time, Place, and Voice in the Poetry of Michael Crummey and Mary Dalton." Studies in Canadian Literature/Études En Littérature Canadienne 32.2 (2007): 132-147. Web. 27 Feb. 2013. Dalton, Mary. "From Colonial Tropes to the Vernacular Muse: The Poetry of Newfoundland." Pathways of Creativity in Contemporary Newfoundland and Labrador. Ed. María Jesús Hernáez Lerena, Newcastle, UK: Cambridge Scholars Publishing, 2015, 149-190. Print. Dragland, Stan. “Mary Dalton.” Mary Dalton: Newfoundland and Labrador Heritage. Newfoundland and Labrador Heritage, 2002. Web. 9 Jul 2013. Forbes, Alexander M. "Eyes & Letters." Canadian Literature 151 (1996): 142-4. ProQuest. Web. 24 Mar 2013. Kavanagh, Patrick. "Eavesdropping on Nunny-Fudgers." Books in Canada 2006: 35-6. ProQuest. Web. 24 Mar 2013. MacDonald, Tanis. "Not for the Faint of Heart." Books in Canada (2007): 32. ProQuest. Web. 24 Mar. 2013 . MacFarlane, Susan. "Complex Yet Closed—The Time of Icicles by Mary Dalton / No Greater Love by Torono Sheila Martindale /Winter by Patrick Lane." Rev. of The Time of Icicles by Mary Dalton. Canadian Literature 129 (1991): 158. ProQuest. Web. 24 Mar. 2013. Nickel, Barbara. “There’s a Carnival for You: Interview with Mary Dalton.” Books in Canada(2002): 27-28. Proquest. Web. 27 Feb. 2013.